Gold Coast mayor Tom Tate has described the $122 million Carrara Sports Precinct as "the most significant venue infrastructure project" for the Commonwealth Games, as construction begins today. Tate says the Precinct will be "the centrepiece for the Commonwealth Games" when they begin in 2018. "While Carrara has undergone a series of redevelopments over the years, this project will transform the area around the stadium into a truly world-class sports precinct," he says. "As a major hub for both elite and community-based sports, the Carrara Sports Precinct will be the premier location for high-performance training and competition, major events, and local sports development. "The legacy this project will deliver will be one that Gold Coasters enjoy for generations to come." 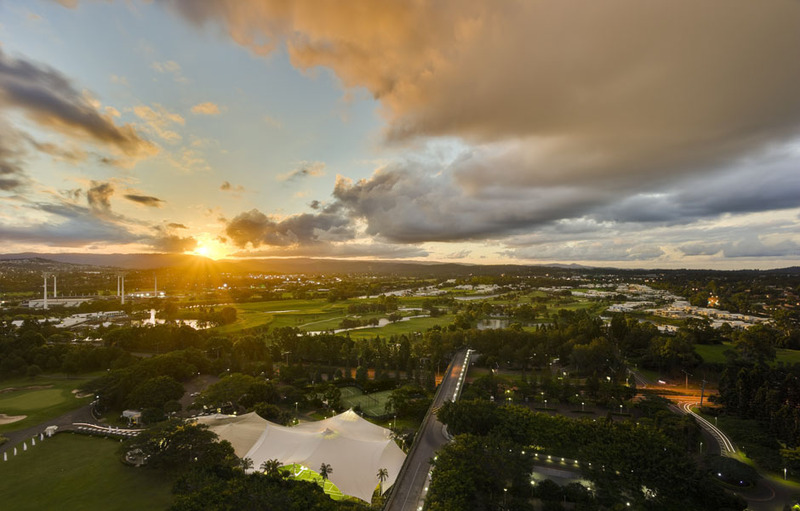 Premier Annastacia Palaszczuk and Commonwealth Games minister Kate Jones joined the mayor to mark the commencement of the project's first stage. The City of Gold Coast has committed $100 million to the Games. Palaszczuk says the Carrara Sports and Leisure Centre will be the first of four projects in the Precinct that are scheduled to be delivered over the next two years. "This is a key Games venue that is generating 400 jobs during design and construction," she says. "These projects aren't just about the Commonwealth Games. "They're creating jobs and they're helping strengthen the regional economy."